For fast and effective skin and hair treatments, come to A New You Aesthetics in Temecula, California. 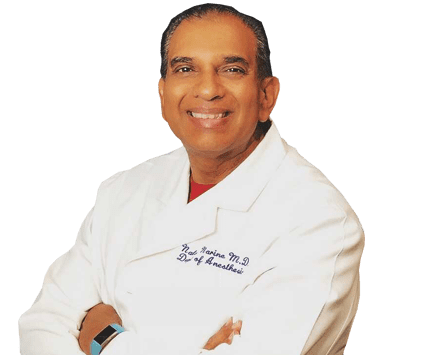 Under the guidance of Dr. Nalan Narine, you’ll experience the benefits of the ICON™ laser, which works on a variety of skin types to provide wrinkle reduction, hair removal, skin resurfacing, and so much more. Make an appointment to learn what the ICON laser can do to improve your appearance by calling the office or booking online. The ICON laser is a non-ablative, fractional laser that offers a revolutionary way to get flawless skin. Whether you have damage due to the sun, scarring, stretch marks, hyperpigmentation, or aging, the ICON laser offers a treatment for you. Laser treatments stimulate your skin to produce more collagen, a compound that makes your skin elastic and strong. These treatments also smooth out irregularities. Fractional laser resurfacing refers to a specific laser, such as the ICON, which is able to target small, precise areas and leave surrounding areas unaffected. As a result, you get better results and a faster recovery. ICON is a non-ablative laser — which means it targets the deeper levels of the skin — specifically the epidermis and dermis. It leaves the outermost epidermal layer untouched, which results in a shorter, easier recovery time. How can the ICON laser enhance my skin? The number of treatments you’ll need depends on the skin condition being treated. Hair removal, scar reduction, and stretch mark reduction usually require multiple treatments; photorejuvenation can be achieved in one to two treatments; wrinkle reduction may only need one treatment. Dr. Narine develops a personal treatment protocol for you. Do treatments with the ICON laser hurt? Most people tolerate treatments with the ICON laser well. You may experience slight redness or mild swelling in treated areas for the first few hours after the treatment, but this usually subsides within a day or two. How much downtime is required after a treatment? One of the biggest benefits of the ICON laser is that it requires very little downtime following treatments. 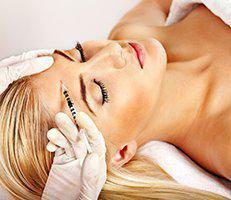 If you come in for a wrinkle reduction, you may need up to four days of downtime following the treatment, which is far superior to the weeks of recovery necessary after invasive surgery. Hair removal treatments, as well as stretch mark removal and scar reduction, require almost no downtime at all. Dr. Narine tells you in advance what to expect and gives you instructions on aftercare following your specific treatment.